In advance of our forthcoming exhibition ‘Old Streetonians: Life, Rugby and Art in Shoreditch’ we will be interviewing several key contributors. 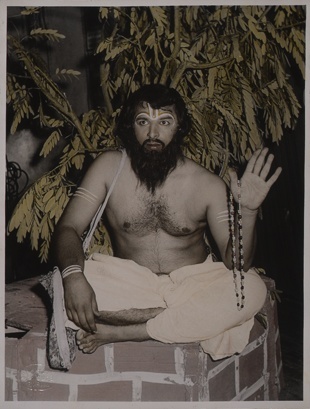 The exhibition will include work by artist Hamish Patel, a formidable character, who for many years, had seemingly disappeared from the art scene. However we are pleased to announce that Hamish has returned and will be exhibiting at our forthcoming exhibition. Hamish Patel, the orphan, is mixed African, Indian and Scottish and was raised in Hawick on the Scottish borders. He was a former trialist for Scotland B. On a sunny September morning I find myself in a London studio interviewing this elusive rugby player who so often caused discontent amongst his team, and artist, so frequently described as ‘conceptual’. Surrounded by his artwork I ask Patel, how Old Streetonians started, what it was like at that time and was there any link between playing for Old Streetonians and art. In response to the reports of a disagreement between him and the Old Streetonians at the time, Patel replies “no comment”. We then talk of his troubles as an artist. Art is now more than sculpture and painting and it is easy. No special talent is needed. One idea is as good as another. but you may not know it. to save for your next canvas. I was then fortunate enough to be gifted with an original signed Hamish Patel moneybox multiple, of which no ideas were required from myself. A beautiful object made of recycled metal. Hamish Patel the real man seems a world away from the brash, egotistical, rugby player/artist that’s been written about; instead I find a kind, gentle man, desperate not to be a failure. He currently makes a decent living “selling paintings to posh hotels, that match the décor” – he charges by the square foot. In the forthcoming exhibition he will be exhibiting his recent work ‘Plasters’. 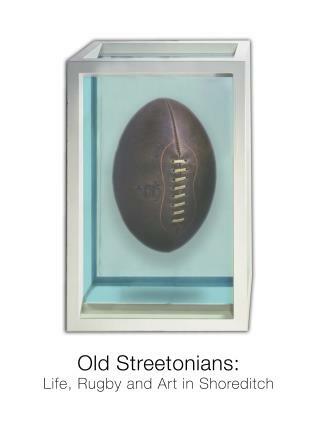 You can find out more about the people behind the Old Steetonians by visiting our special exhibition ‘Old Streetonians: Life, Rugby and Art in Shoreditch’, opens Friday 24th October.